The Orbotron is a human gyroscope that simulates the feeling of weightlessness. Originally designed as an exercise machine, the rider can control the motion or our trained operator will assist. Spectators are drawn to the Orbotron by it's vibrant colored rings and the sounds of enjoyment. The Orbotron is effective in all types of recreational situations. 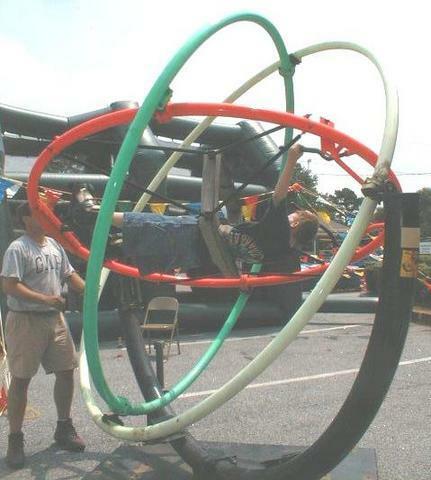 Having this anti-gravity device in your next event will add an extreme and safe attraction.